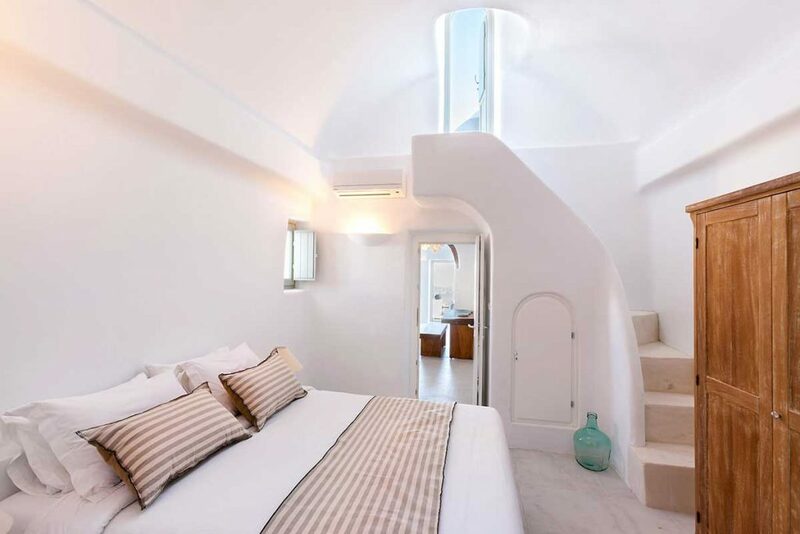 It is a luxury villa with three bedrooms with double beds, each of which has access to its own bathroom and kitchen. One kitchen is less equipped – and adjacent to one bedroom – and the other two are fully set and situated in two different living room areas. The two larger kitchens are complete with two burners, a microwave oven, a refrigerator, coffee makers, a boiler and various pans for use. The smaller kitchen has a refrigerator, sink, cups and glasses but no burners. One bedroom has a walk-in closet, and the other two have designed furniture. The third one has a whole living room area to itself. 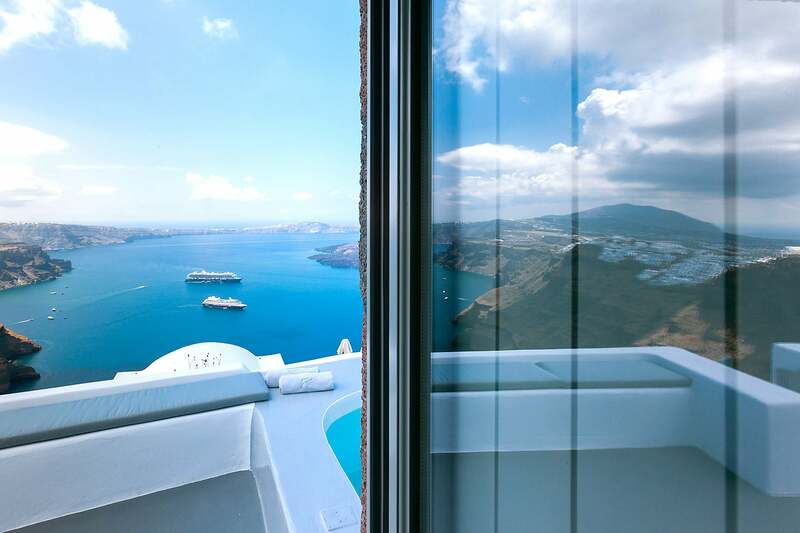 Three of the bathrooms are spacious, one decorated with Santorini stone, and the other designed in black volcano like surrounding, with the sun coming in through the roof. The third bathroom is more modern. The fourth is a guest bathroom but fully equipped with shower and amenities. Each of the three bedrooms have autonomy. You can have your own, personal space and time in your room, but also share space and time with friends or family at your will! To take this concept further, three Jacuzzis have been built in. 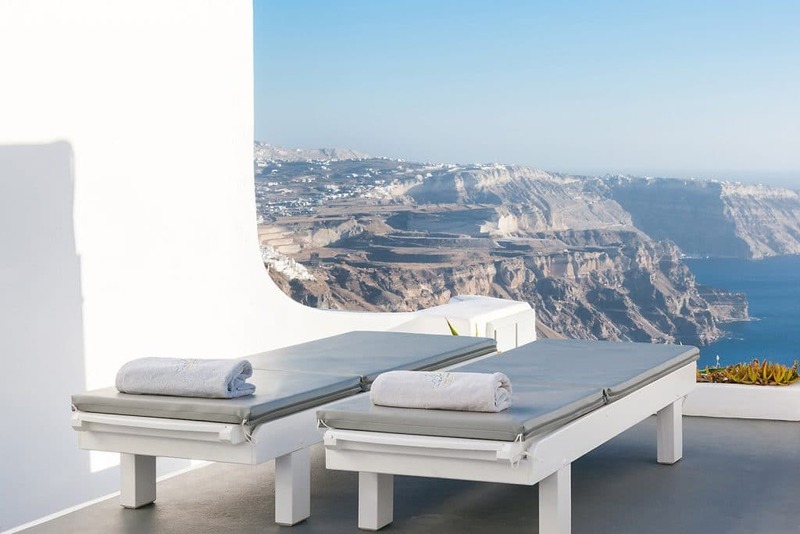 One is on the roof allowing the whole of the island and the caldera to unfold before you, and the other two are on the ground floor with a similar view. 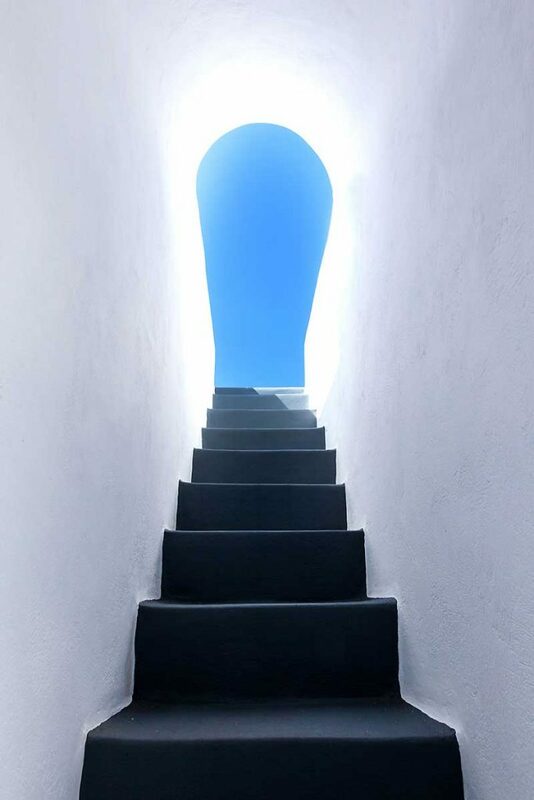 A small flight of stairs takes you from the ground floor to the roof – access is both from inside as well as from the outside. All outside ground and roof areas are private to your group. 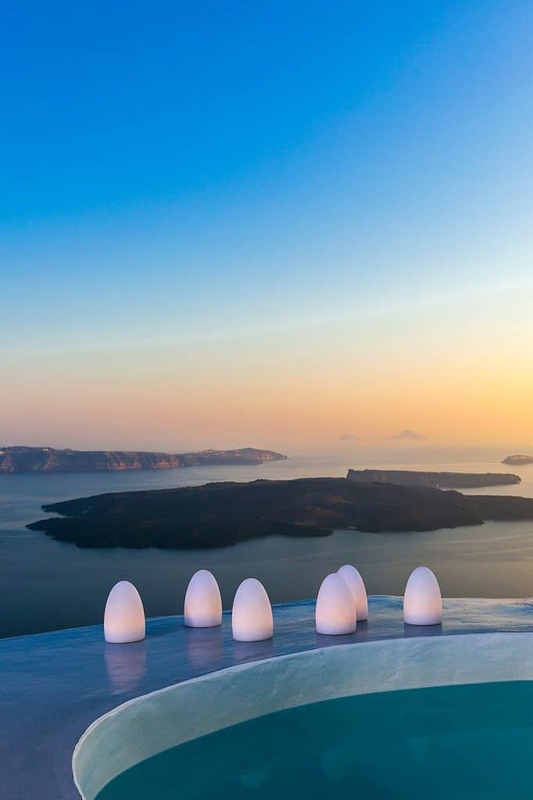 Sunbeds are around the Jacuzzis, and tables to enjoy a meal or a drink savoring the view. 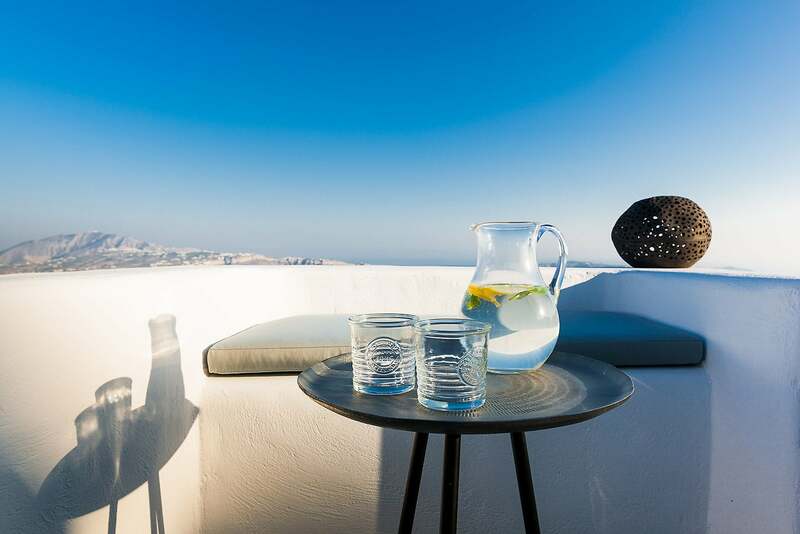 On the roof top area, there is a built-in table where you can spend an evening on the Caldera gazing at the stars with a cool drink. 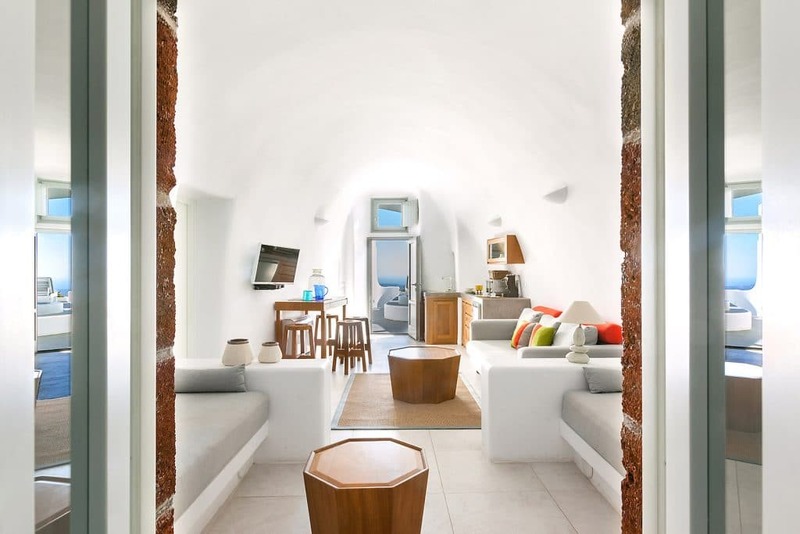 The villa is best to be used by 4-6 people, where all have their privacy in pairs or alone. There are also four built-in Sofas, two in one living room and two in the other, where four additional people can sleep with comfort, a large dining table for meals, as well as three different satellite TV areas where guests can rest on colder days. 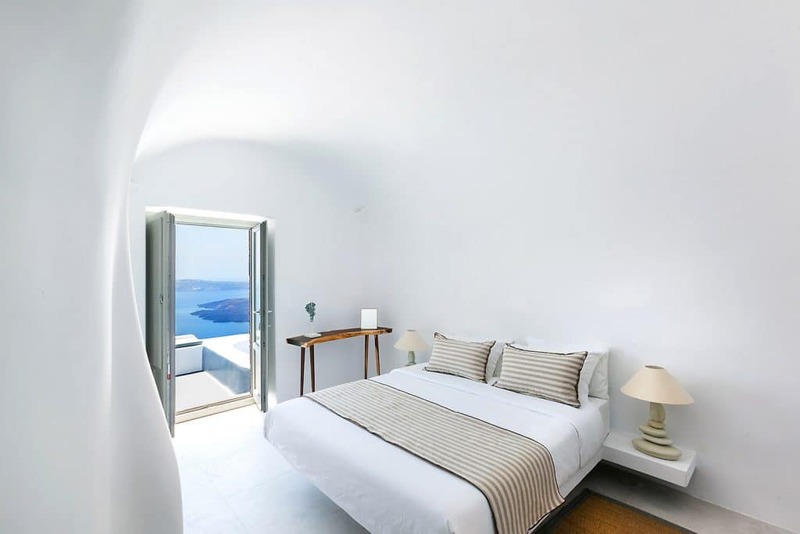 Hot and Cold air-conditioning is available throughout, and keeps the villa at the right temperature all year round. 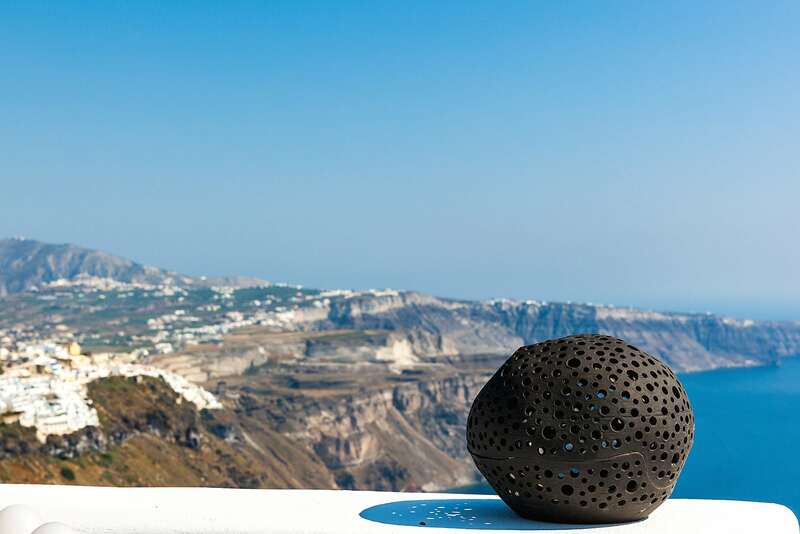 The villa is only a few footsteps from the central village of Imerovigli and the central road which leads to Fira or Oia depending on the direction. 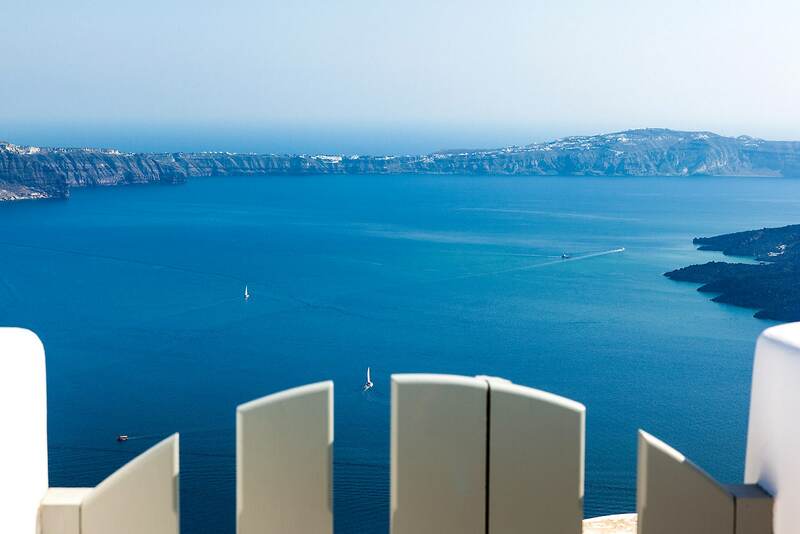 It is a 20 minute walk to Fira and a more than an hour to Oia.